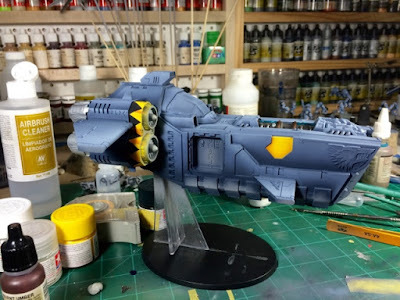 The main colors on the gunship are done. The color modulation will be toned down following washes and weathering. All of the details still need to be painted and a couple of decals need to be added. Everything should be finished up with this commission within the next week or so.